Even after diet and exercise, you may still have those love handles and other areas of stubborn fat. SculpSure® is a safe, noninvasive way to reduce this stubborn fat by destroying fat cells. 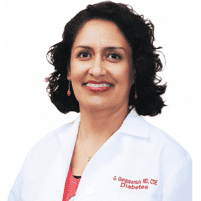 As part of her commitment to helping her patients lose body fat, Dr. Gopika Gangupantula provides expert treatment with SculpSure at her Modesto, California practice. If you’d like to learn more, contact Valley Diabetes & Obesity by phone or by using their convenient online booking tool. You have a certain number of fat cells in your body, which are permanent, no matter how much you weigh at any given time. These cells shrink as you lose weight, but don’t go away, leaving certain areas of your body with fat deposits that don’t respond to diet and exercise. SculpSure uses a laser to heat fat cells beneath your skin. The raised temperature damages the structure of the fat cells, though it’s harmless to your skin. Over a three-month period, your body’s lymphatic system disposes of these damaged cells permanently. SculpSure is FDA-cleared and noninvasive. No surgery, needles or chemicals are involved in your treatment. What parts of the body can SculpSure treat? What will happen during my SculpSure treatment? Each SculpSure treatment takes 25 minutes and is customized to every patient. Dr. Gangupantula discusses the areas you’d like to have treated with you. She marks them on your body and selects the SculpSure frames that will outline the treatment areas. She then places the frames on your skin and puts the SculpSure applicators inside. As treatment begins, you feel a cool sensation on your skin. This cooling helps you to feel comfortable during the session. The heating laser turns on and off throughout your treatment, while the cooling stays on the whole time to ensure your comfort. Patients say their skin has a feeling of deep warmth and tingling during their SculpSure session. As soon as your treatment is over, you can resume your daily routine, with no recovery time needed. 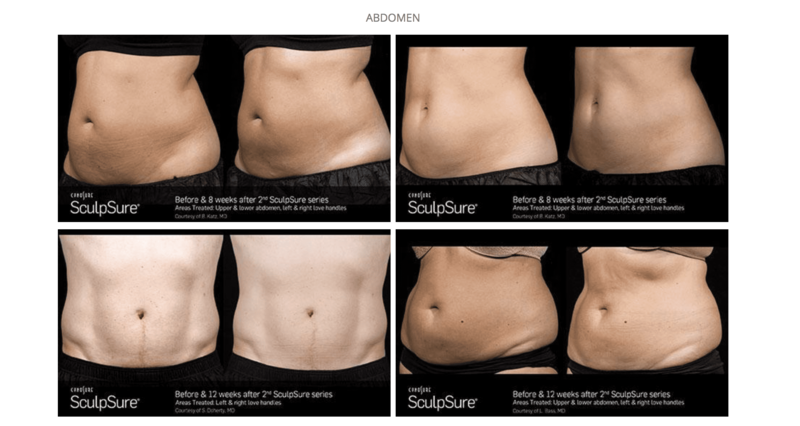 What results can I expect from my SculpSure treatment? As your body eliminates the damaged fat cells, the treated areas will begin to show more contouring. You’ll see results beginning at six weeks, with peak changes in your appearance at about 12 weeks. You'll need a series of SculpSure treatments to achieve the optimal results. Dr. Gangupantula works with you to determine your goals and the best plan for you. Dr. Gangupantula wants to educate you about how to lose body fat and be as healthy as possible. She welcomes your questions about SculpSure and how it can complement your overall health and fitness goals. To schedule your SculpSure session, call Valley Diabetes & Obesity or make your appointment online today.